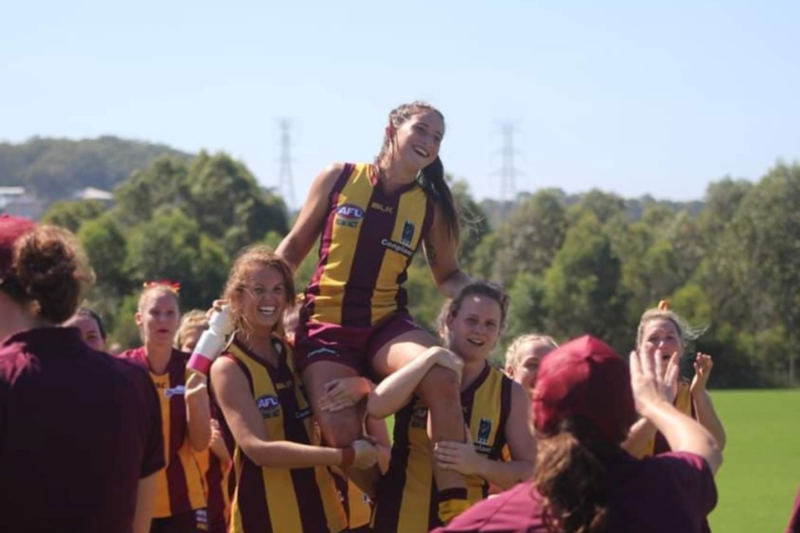 Cardiff’s historic opening match at Pasterfield Sporting Complex could not have been sweeter for the club, with a 62-point victory over the AFLHCC Womens minor premiers crowned by one of their junior products reaching 100 appearances for the club. Arizona Cross, who has played through the Hawks’ junior system before making the step up into the senior grade, celebrated her century milestone in style, slamming three past Nelson Bay to lead her side to their second straight win in 2019. 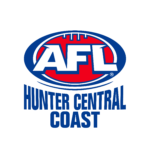 The young junior – who Hawks coach Paul Cooksley also pinpointed as the “best on field” – marshalled her club to a 2-0 start to the AFL Hunter Central Coast season, a far cry from the team’s more dour 2018 opening. 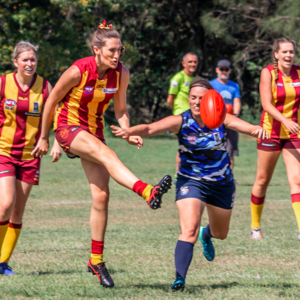 The Lady Hawks looked to bed their new recruits in early last season, and fell to a 0-5 record before finding their first triumph against the Dockers six weeks in. To clock up two victories first up this time around, and with one being the minor premiers Nelson Bay, shows the team is at a new level compared to last year, Cooksley said after the win. “We have had a much better start this time, last year we had a lot of girls that were just coming to the game and now they’ve had at least a full season under their belt,” Cooksley said. The match also had another special significance beyond Cross’ milestone – Cardiff’s return to Pasterfields meant the Lady Hawks were the first senior side to run out at the new home ground, and the first to notch a win. It was Tayla Grazules that had the honour of slotting home the first senior major at Pasterfield, as the no.12 opened the scoring early in the opening quarter. Cardiff bounced out to a 25-nil lead in the first, with Claudia Russell and Cross both adding a major each. The Marlins struck back in the second quarter, but a single major for the travelling side saw the Hawks retain the lead, before Russell and Cross both struck again in the third to stretch their lead to 42-7 with just a quarter to play. The Marlins just couldn’t find their way back into the contest in the final stanza, adding six more points with a major from Jemma Astley, but it wasn’t enough as the scoreline finished 10.15-75 to 2.1-13. Cross was chaired from the park for her record-setting appearance count, and Cooksley was again full of praise for the 17-year-old star after the win at Pasterfield. “Arizona was excellent again, that’s for sure,” the Cardiff boss said. “She’s only just turned 17, so to have 100 games for Cardiff is massively impressive. We’ve been playing her up forward at the moment, she’s probably an out-and-out midfielder in truth, but she’s been shining up top right now which is good. 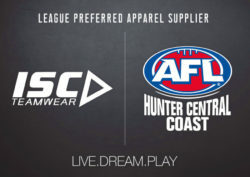 Elsewhere in the second round of the AFL Hunter Central Coast Womens competition, Newcastle City bounced back from their opening week loss with a 19.17-131 to 1.1-7 win over Lake Macquarie. Meaghan MacDonald proved key as she kicked seven in the victory. Also on Saturday, Wyong Lakes and Gosford played out an early kick-off at Bateau Bay Sports Facility. 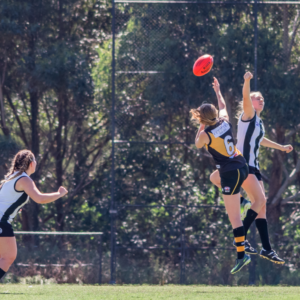 The Magpies proved too strong, accounting for the Tigers 32.35-217 to nil, with Alexandra Pearce nailing seven while Aleece Williams added five of her own. Lisa Agic, Rebecca Ives, and Kanesha Murray all added to the pile-on with three apiece. Another lopsided scoreline awaited the Port Stephen Power at Ferodale Park, as Maitland capitalised on their first round upset win with another key victory – this time 36.24-240 to nil. 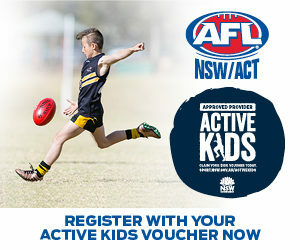 Killarney Vale also locked a high score, as the Bombers kept The Entrance Bateau Bay to just a single behind, while Angela Jones notched seven. She was aided by four from Georgia Butler. League leading goalscorer Morgan Ross retained control of her position atop the individual record standings. 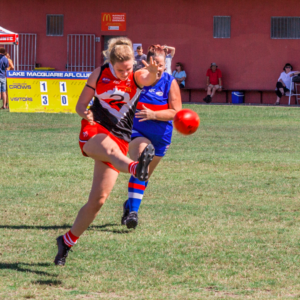 The Panthers’ dangerwoman slotted five against Warners Bay at Feighan Oval, leading Terrigal Avoca to an 8.5-53 to 2.2-14 win over the Bulldogs. Finally, Singleton also moved to 2-0 in 2019 with an 8.5.-53 to 6.2-38 win over Muswellbrook that saw Brianna Howard score four. Nichola Benkovic bagged two for the defeated Cats. Wallsend-West Newcastle had the second round bye. STANDINGS: Killarney Vale, Wyong Lakes, Maitland, Cardiff, Singleton, Terrigal Avoca (8), Newcastle City, Gosford (4), Warners Bay, Muswellbrook, Wallsend-West Newcastle, Lake Macquarie, The Entrance Bateau Bay, Nelson Bay, Port Stephens (0).